The picture quality of domestic camcorders has improved dramatically over the last couple of years. Especially with HD video, which is now available for under $500. 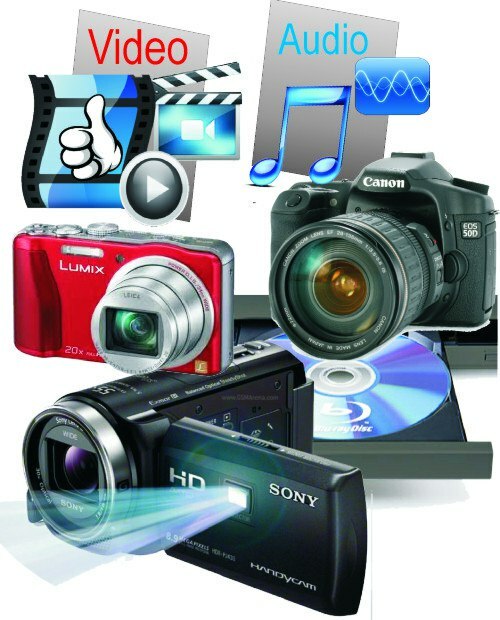 However, these low end camcorders come with a major setback – audio recording capability! Perhaps one of the reasons the external microphone socket has been removed from low to mid range camcorders by almost every manufacturer is to keep manufacturer cost down and sell the more expensive semi professional models. As you know, good audio can make or break a video production. To get the sound right, in a lot of cases you should take advantage of a good external microphone or even go wireless. Now you can have it all. Use a low to mid range camcorder and end up with a perfect audio track in your production! The same results as using a wireless microphone but cheaper! Simply add a small and independent audio recording device that is positioned where needed – close to the action! With an option for an external microphone connected to the digital audio recorder, this device opens a field of even more sound recording possibilities. All of that with a price tag cheaper than most wireless microphone setups! First you open our favorite video editing program and import the pictures and video from the camera and add the relatively poor sound track from the camera onto one of the audio tracks. The stereo sound of the audio recorder goes onto the other audio tracks of the editing program. Now here comes the trick, use the sound track of the camera as a reference to synchronize the audio recorder sound tracks. When you are happy with the result, you may remove the camera sound track. Once you have completed your fine tuning and editing, you can end up with amazing results in your overall production. When done properly it sounds like a professional video production. The audio from the voice recorder gives the impression as it is recorded by the camera.